What is Disney's strategy for streaming? CFRA Research media and entertainment analyst Tuna Amobi on the outlook for Disney. Shares of the Walt Disney Company jumped in after-hours trading Thursday after the media and entertainment giant easily beat Wall Street’s expectations for both quarterly revenue and earnings. The company reported adjusted earnings per share of $1.48, topping analysts’ expectations for $1.34, according to Refinitiv data. Fourth-quarter revenue was $14.31 billion, beating an expected $13.73 billion. The media and networks segment also outpaced projections, posting quarterly revenue of $5.96 billion. Parks and resorts revenue rose 9 percent to $5.96 billion, while consumer products and interactive media revenue fell 8 percent to $1.12 billion. 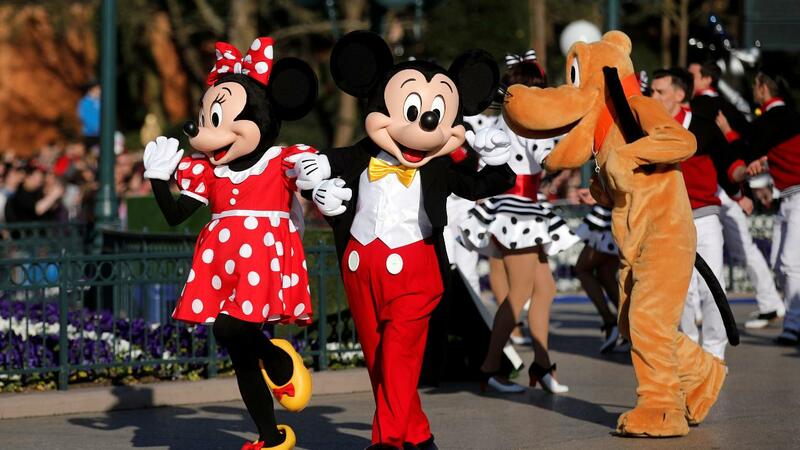 For the full year, Disney reported earnings per share of $7.08 on revenue of $59.43 billion. Both figures exceeded Wall Street’s expectations, according to Refinitiv. Iger said Disney’s long-awaited branded streaming service will be called “Disney Plus” and is on track to launch in late 2019. The service will feature original content from Disney, Marvel, Pixar and the company’s other properties. Disney has yet to reveal how much the service will cost. Disney’s sports streaming service, ESPN Plus, has more than one million subscribers since launching earlier this year. As FOX Business previously reported, that figure includes some of ESPN’s existing “ESPN Insider” subscribers, who were rolled into the new service. Twenty-First Century Fox is the parent company of FOX Business and Fox News.